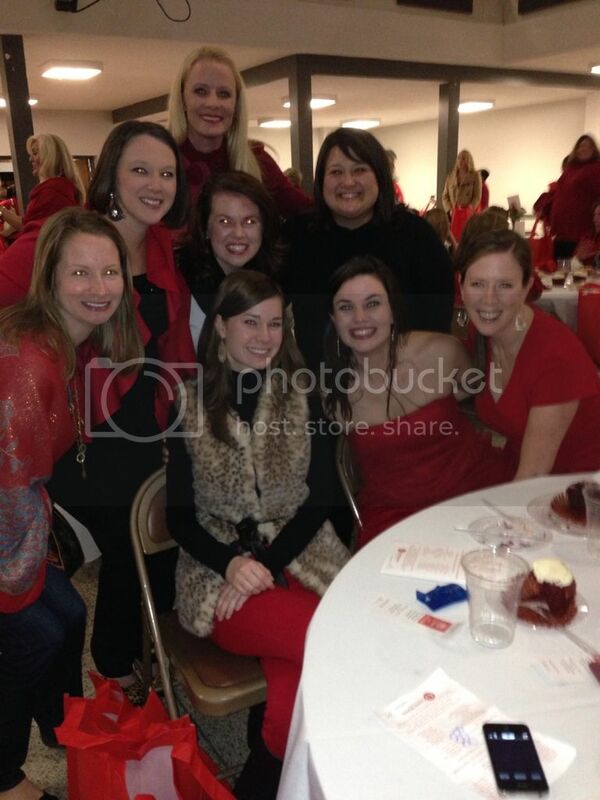 So last night I went with a bunch of my girlfriends to the Go Red for Women event in town. Kelly sponsored a table and asked us to be her guests for an evening of food, fashion, and heart info! 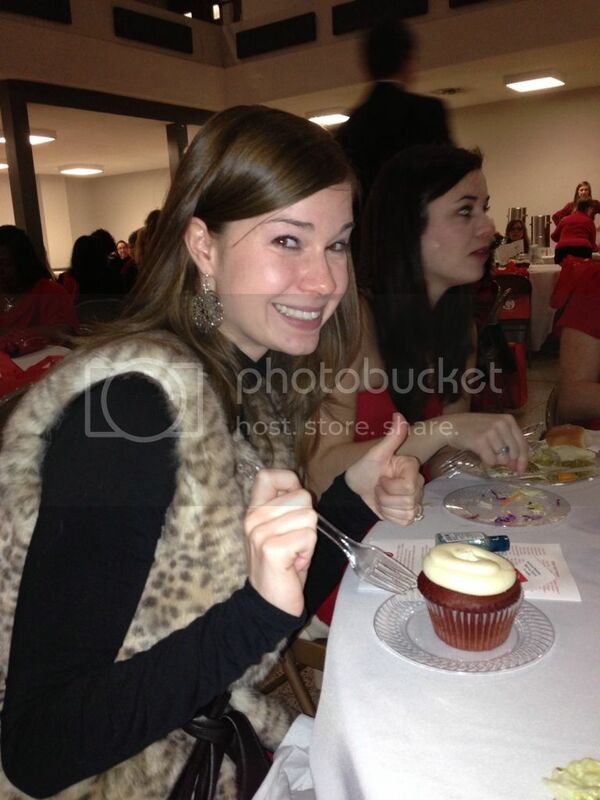 We all wore red, which was fun, so the room literally was a sea of "ladies in red", which was actually really pretty! The evening was geared towards informing women about the risks of heart disease and the ways to prevent it. Actually, heart disease is the number 1 leading cause of death in women! 1 in 3 women will die from heart disease, whereas 1 in like 60 (don't quote me on that) will die from breast cancer. Turns out, WE are in control of our own destiny when it comes to our own heart health and it is time for us to take charge! Yes, genetics plays a big factor, but it is something we should be able to overcome with diligence and attention. I actually have genetically high cholesterol I have been dabbling in the "Mediterranean Diet" for the past few month. It's actually easy for me because I LOVE fruits, veggies, and whole grains, and I don't eat a lot of red meat (only when my dad cooks) or fried food. Still, because of my genes, diet alone is NOT enough and so I am trying to get on the exercising wagon. According to Dr. Vann, the speaker at the event, "exercise" only counts if you "get sweaty and stinky". Well, I guess for your heart anyway. I typically applaud myself when I can walk on the tread mill without breaking a sweat so I don't have to change or shower until morning, but apparently all that time walking slow enough so I could hear Abby Lee Miller on DanceMom's was basically a waste of time when it came to my heart health. So today, I'm researching gyms, couch to 5K, anything and everything to try to find some exercise motivation. I really DO NOT like to exercise (although I love walking with the husband and dogs when it is nice weather) so this will be a challenge for me. Any thoughts or suggestions, comment below!! Aside from the event hitting home with me, I did have a wonderful time with my sweet friends. 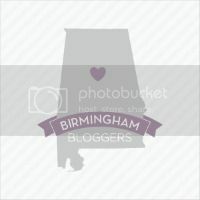 I was especially excited that Jenny got to come from Birmingham, and we had such a fun time talking. Jenny is one of those friends that I know is still out there, supporting me, being my friend, even if we don't communicate for a few months. We always jump right back to where we left off. To me, this is a true friend, and true friends should be celebrated! My pyramid of sweet friends going red!! Overall, the night was fun, silly, and informative and I am so glad that I went! Thanks to Kelly for including me--obviously I needed to be there to really take in the message! Don't forget, since February is heart month, pay a little attention to your ticker and show it some love. It just might save your life!! The motto of the night was Keep Calm and GO RED, so I intend to do just that!! In retrospect, the giant red velvet cupcakes were probably not the way to go, especially since people were stuffing the leftover ones into their goody bags. Apparently the whole "lose weight" theme flew right by some.